Conquer the field! A tail-spin type lure is ready to stimulate the natural instincts of the fish. Fishing land based or from the boat, a new tail-spin type lure is ready to search a vast area. 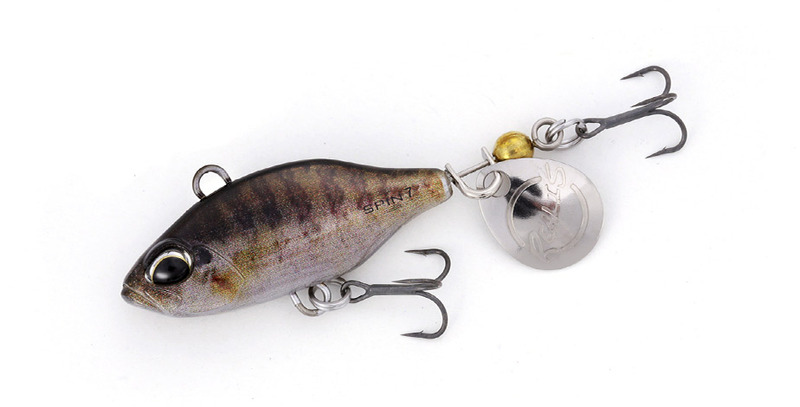 The compact body size enables the lure to travel great distances when casting. Its classical spin-tail creates a smooth rotation while the weak rolling of the body stimulates a natural bite from the bass. The lure produces a lively pulsation of a bait while maintaining an appropriate drag for a more linear usage. It is loaded with two hooks to effectively capitalize on the short bites of the tough conditions in cold conditions.